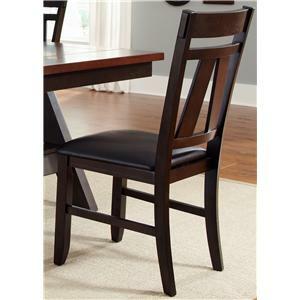 Add the perfect accent your kitchen table with this attractive side chair. 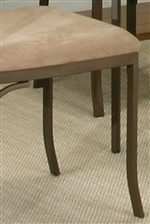 The piece carries an antique bronze finish with a cream-colored microsuede seat. 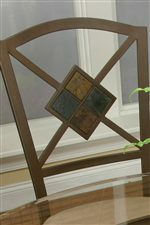 Plus, the "X"-shaped back comes with a stone grout slate, which provides an artful quality. 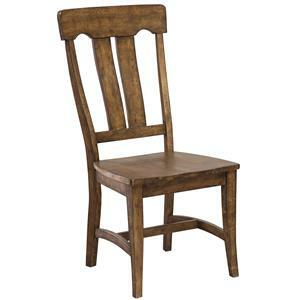 There will be a lot to like with this dining chair set around your dinner table. 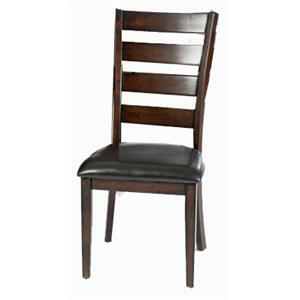 The Cramco Trading Company - Piazza Metal Side Chair w/ Upholstered Seat by Cramco, Inc at Darvin Furniture in the Orland Park, Chicago, IL area. Product availability may vary. Contact us for the most current availability on this product. Bring an earthy quality to your kitchen decor with the Piazza collection. 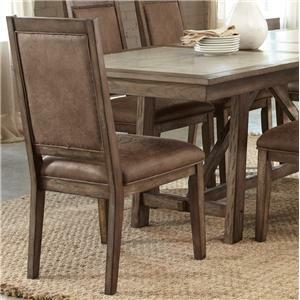 The pub and casual table sets comes in an antique bronze finish and feature glass tops, which give your room greater depth. A stone grout/stone motif runs through the entire collection, providing an artful and intriguing element to the overall appearance. 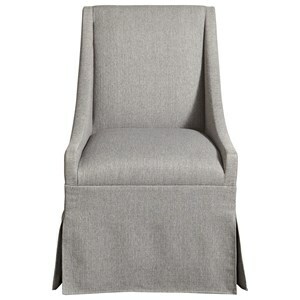 Plus, the side chairs and stools each come with a cream-colored, microsuede seat. 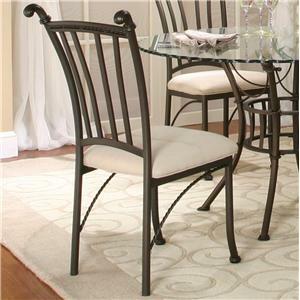 There will be plenty to be pleased about with the addition of the Piazza collection in your home. 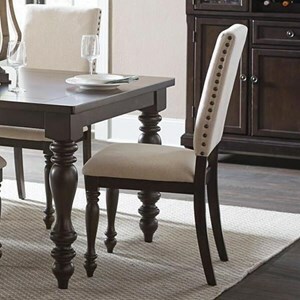 The Cramco Trading Company - Piazza collection is a great option if you are looking for Transitional furniture in the Orland Park, Chicago, IL area. 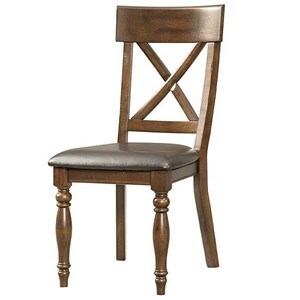 Browse other items in the Cramco Trading Company - Piazza collection from Darvin Furniture in the Orland Park, Chicago, IL area.